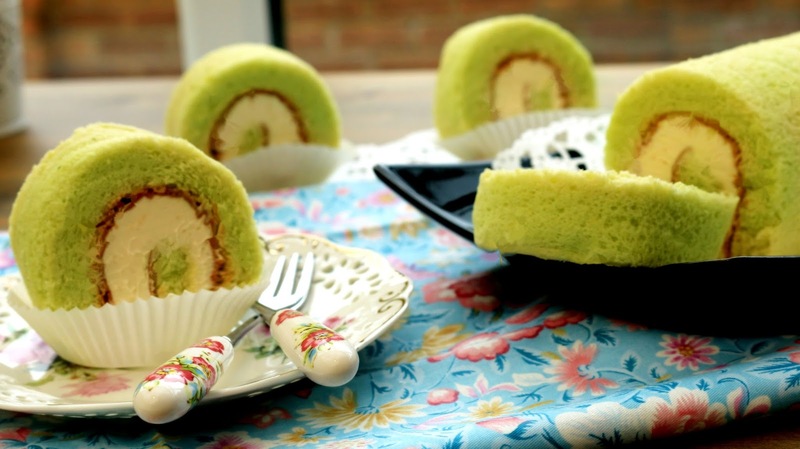 This is my favourite no fail Pandan Swiss Roll Cake recipe, easy to make and tastes awesome. I am sure will make people on the go is an impressive. 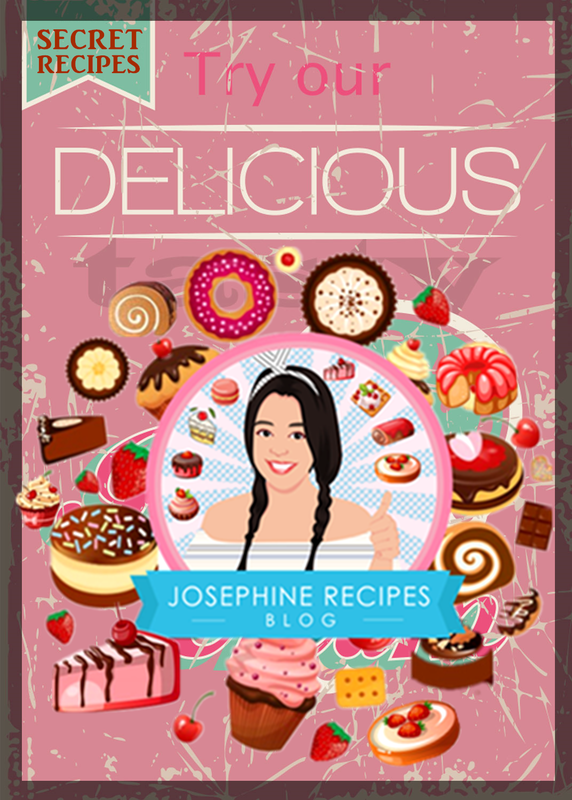 you can simply wrap your cake tightly in cling film, or stored airtight to keep them fresh and moist for 3 days in the refrigerator. • You will squeeze out the same amount of the juice. 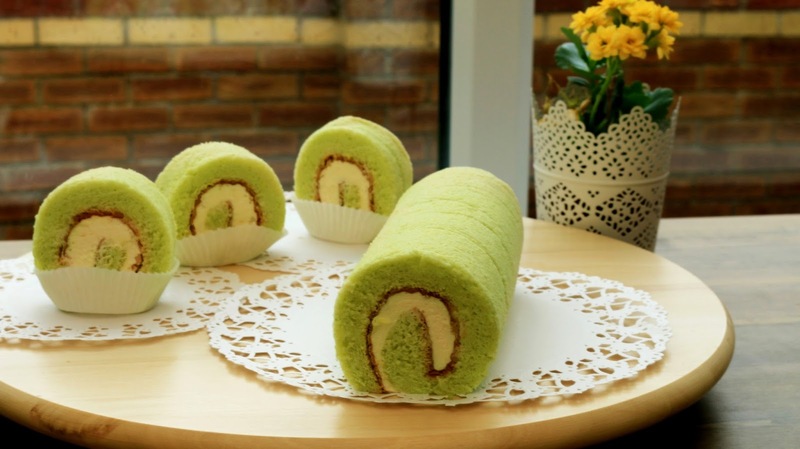 (58g) so you can make them in two batches of swiss roll. Leftover juice can store in the fridge for not more than 3 days to experience it at its top quality. 1) Clean the pandan leaves under running water to remove dirt. Cut the leaves into small pieces with scissors. Add the leaves at a time, and pulse the blender several times to mince them. Once the leaves are minced, add coconut milk to strain the juice through a fine mesh strainer to remove any solids. 2) In a bowl, mix (A) egg yolks, sugar, corn oil and pandan juice. Sift in the cake flour and whisk until smooth. 3) In a separate bowl, whisk (B) egg whites until foamy then add cream of tartar and sugar a little bit at a time until to a thick and stiff peak stage, about 3 minutes. 4) Folding cake batter into a whites, and mix until incorporated. 5) Pour the mixture into the 32cm x 27cm prepared tin with baking parchment and use a spatula to smooth it evenly into the corners. 6) Use a large baking pan for a hot water bath and Preheat the oven to 160°C and Bake for 35 minutes. 7) Once cooked, leave to cool at least 15 minutes, and remove from the oven. 8) In the meantime whip the (C) double cream until it is just thick enough to hold its shape and add vanilla extract for a little extra flavor. Refrigerate it before using if needed. 9) Once the cake is cool, remove the lining. Place the cake on a piece of parchment paper. Spread it over a cake for filling. 10) Peel off parchment paper. Roll the cake up in the paper, starting with a short side and refrigerate it for 30 minutes before serving. 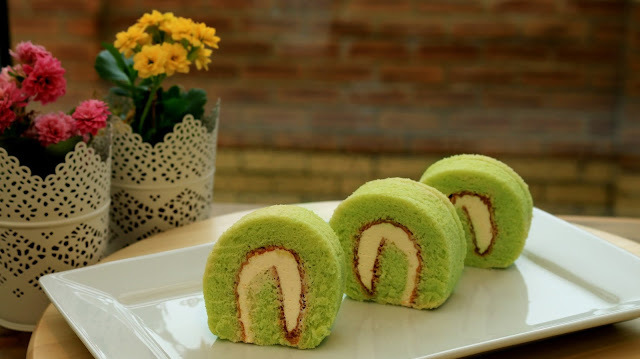 Using a sharp knife, cut the swiss roll into 10 equal pieces. 1) It's fine to use cold eggs for baking, or you still can use room temperature eggs. The temperature of eggs will affects the baking time, and cold eggs will take longer to bake. 2) Chill the bowl and whisk in the freezer before whisk the egg whites and making whipped cream. 3) Do not over or under-beat the egg whites. 4) Whipping cream doesn’t whip up as thickly as double cream. 5) Cutting off the crusty edge from the two long sides. 6) Do not bake the cake quickly at a high temperature and don't remove hot cake out of a baking pan. otherwise the cake could crack on top. 7) Fold the batter into a egg whites. Cut the egg whites into the mixture. Don't stir and never use an electric mixer for this. 8) Beating egg whites is a very important process, It will help your cakes rise with perfectly. 9) Cover with foil after a few minutes if the cake of top starts to get brown and continue rising nicely with a golden top. 10) Please understand that everyone's oven work differently.